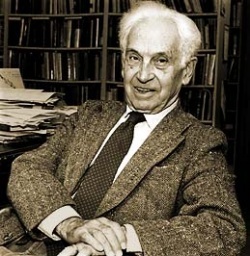 Any student of biology, or anyone with an interest in the natural world, will be familiar with Ernst Mayr who passed away on February 3rd, 2005 in Bedford, Mass. Born in Kempton, Germany he joined the American Museum of Natural History as a curator in 1931. In 1953 he left the museum to work at Harvard University where he stayed until his retirement in 1975.